Minnesota is my home because it’s where I have lived all my life. I live in a small town that is known for its diversity called Worthington. The Laotian community in Worthingon is very well known, and the mayor Al Oberloh attends and celebrates the Lao New Year event. As a first generation college student, I am currently attending the University of Minnesota-Twin Cities. One of the biggest thing that sets me apart from most Laotians is that I’m gay. 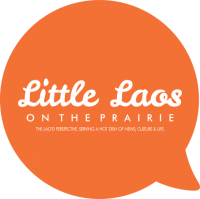 I’m one of the few out gay Laotians in Minnesota and I don’t want it to be that way. There have been questions and curiosity if there are LGBTQ Laotians out there, and I am here to say, “Yes there are LGBTQ Laotians in the community, and yes we do exist.” We are more prevalent than the community thinks about, or are informed about internally and externally of the Laotian community. I like to highlight a few LGBTQ Laotian individuals who are not shown in the Lao media or spaces. Andy. Ari or Ariyaphon, Southiphong is a Laotian individual who identifies as transgender. Ari is a fashion designer from Hawaii and is known for competing in the hit reality TV show Project Runway Season 8, ad where her fashion line took the runway during New York Fashion Week. Another talented Laotian who goes by Jujubee, or Airline Inthyrath, is a famous drag queen within the drag community and a gay male. He was the second runner up in Season 2 of RuPaul’s Drag Race. We have talented individuals like these two, but why are they not known or are part of our conversations in the Laotian community? I can find many reasons why, but one root cause is because our community still finds transgenderism and homosexuality a taboo. There is something hindering Laotian community members, especially parents, from working through this unnecessary taboo that is hurting many of their family members and children, even if they are familiar with the concept of transgender and gay. One dialogue that needs to be talked about is the Coming Out process, defined as recognizing one’s sexual identity and may include working towards self-acceptance and choosing to share their coming cut experience with someone else. coming out as LGBTQ, simultaneously at the intersections of race, ethnicity, gender, and class, makes coming out deeply thought-provoking and very emotional to man. I still haven’t Come Out to my parents yet and that is okay. Coming Out is a personal experience and we should be conscious and respect the person’s process. No one should take the act of someone’s Coming Out process into their hands and reveal it to family, friend or community. It doesn’t matter if you are that person’s family member or not. I am waiting for the right time and when I feel ready and comfortable to sit down to talk with my parents. One struggle that keeps me from Coming Out to my parents is the “disappointment or the shaming” of my parents’ name or reputation. A major reason in my experience is that the Laotian community likes to talk to the point where we know each family very well, from what job they have, to what car they bought to what their children are up to. Coming Out will be one of the actions that would socially result to defacing my family’s reputation and that makes me think a lot and challenge, why being gay, lesbian or transgender is considered a shame, and correlates into negative beliefs and images within our community? I do not have all the answers, but I do know that I’m asking questions and want to raise the narratives of LGBTQ Laotian people and their allies, which could only lead to many answers that fit the diverse and complex experiences. We as the Laotian community need to learn how to talk about LGBTQ issues and experiences, be inclusive, intentional, and have critical dialogues at home and in the community. The more we sit and push LGBTQ Laotian family and issues to the side, the more young Laotian children and people will be pressured to be who they’re not. That is an extremely damaging life to live. We should not be idle while LGBTQ Laotian children and young people end up in horrible situations, such as being homeless. I’m a historian and artist within a collective called Midwest Solidarity Movement. We are a collective of LGBTQ Southeast Asian artists, activists, scholars and organizers mentoring each other, and working to create critical awareness about LGBTQ issues within the Southeast Asian community and the larger community through intersectional justice. This is a space where I have support in my creative leadership to make positive differences in my life and the social and political issues that matter to my community. I am proud to be part of this collective, because I can do work within my community and raise the voices and leadership of LGBTQ Southeast Asians. Our collective has organized a Trans* and Queer Southeast Asian Organizer’s Retreat coming up on August 17-18, 2013 in Minnesota. The retreat is to create a space as organizers to mentor each other, get hands on training and facilitating workshops, and critically analyze the current state of the Southeast Asian Trans* and Queer community movement as it relates to the larger social and political movement in Minnesota. We still have a lot of work to do in our Laotian and Southeast Asian community for LGBTQ issues and leadership. We can’t do this alone, and need support from our straight aspiring allies and allies who believe and work for social justice and human rights. We are fundraising for $1,500 for the retreat, and have raised $310 towards our goal. I would like the Laotian and larger Southeast Asian American community to start talking about these issues by helping us fund our retreat through this link: http://www.gofundme.com/TransQueerSEAFund. Being Laotian American is still a struggle for acknowledgement within the Asian American community. Being a gay Laotian American is another layer of struggle for acknowledgement within all the communities that I belong to. While everyone is struggling for acknowledgment, I have to deal with being an underrepresented Asian American group and being underrepresented in the LGBT community. Without first having dialogue, most people will not understand what you stand for and who you are. So this dialogue is important to me and it should be to you. Danny Khounthavong is a second generation Lao American college student and LGBTQ activist born in Fresno, California and now resides in Worthington, Minnesota. Great job Danny! Thanks for this post! I feel so sad that being homosexual or even transgender can be so isolating for our new generation of Lao-Americans. I’m not sure where the divide started, and wish that Lao-American communities could visit Laos and see that culturally, being homosexual and or transgender is not taboo at all. It pains me to hear that the struggle for acknowledgement is still so present when supposedly Lao-Americans live in a more progressive and developed country, whereas here in Laos, it isn’t uncommon for us to ask if a homosexual person prefers to be addressed in the feminine or masculine form when meeting. I hope that our Lao-American LGBT youths will be able to find and promote acceptance in their communities soon. Thanks for sharing, Danny! The more and more I surround myself with other marginalized stories, there’s always another layer to discover. I’m grateful for your story. There’s an active LGBT community in Laos, mostly in Vientiane. In fact, it recently celebrated the second annual “Proud to be Us” day sponsored by the American, German, and UK ambassadors, with around 200 participants, several NGOs involved in adolescent/health/HIV-AIDS work, and a show of cabaret singers, drama, and breakdancing — and a big party in the evening at the Lao Cafe (previously the CCC Bar). Anan Boupha, the informal leader of the LGBT community in Vientiane, has been most active in promoting LGBT issues both in Laos and elsewhere. Do you have a link to this event? For news reports, pictures, etc.? Great job! I’m a Laos/Chinese/Thai and the people in my community in Nashville, TN can be harsh. And it has always pushed me away from getting involved with any events they have. Maybe someday it will change, but I’ve always could careless on how they feel or talk about me. Bless it be! Great Job. Even as an Intersex person in the Laotian Community. I still face sexism and homophobia in the Laotian community as well. Im gay, out, like REALLY OUT, and Lao. There’s a small Lao community here in N.J and I grew up here my entire life. All of my family and friends had no issue with my sexuality. They even ask about boyfriend on a daily basis. It’s not as difficult as it seems to be at first. You will be fine! One thing I can say about Lao people is that although we are big gossipers, we have even bigger hearts. You know that. Good luck bro!